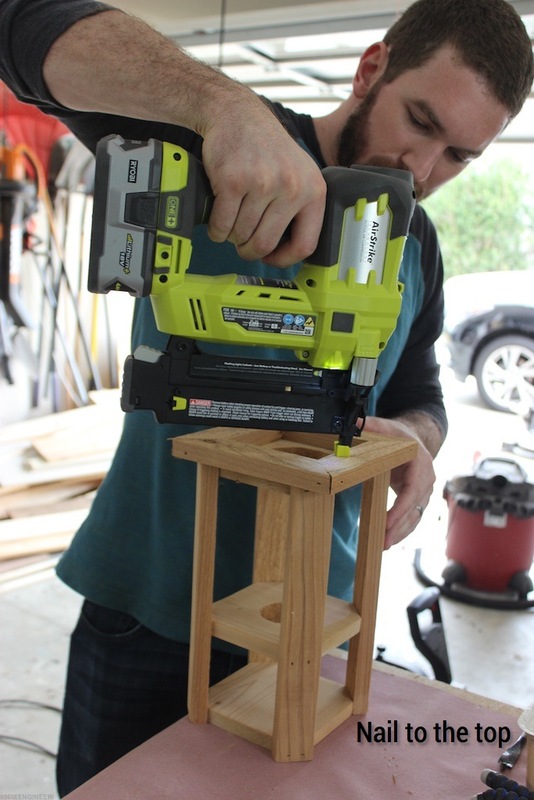 Hey everyone, I’m Jamison from RogueEngineer.com where I publish free and awesomely cool DIY furniture plans on a weekly basis. I don’t know where your from, but here in Savannah, GA spring has sprung! 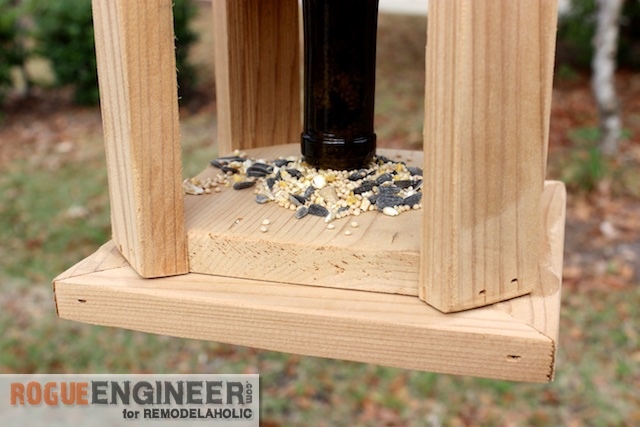 With all the birds out chirping I decided to make my own variation of the wine bottle bird feeder using some leftover cedar from another project. 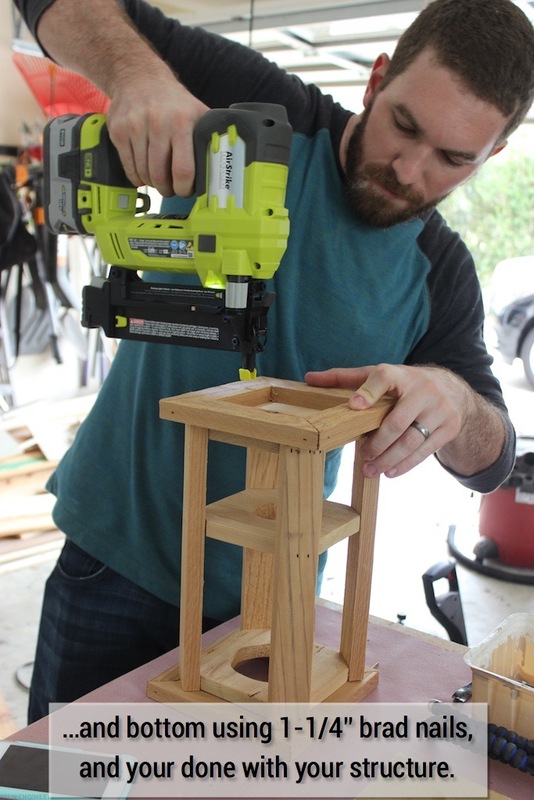 Follow along with this tutorial to see how you can build one too! 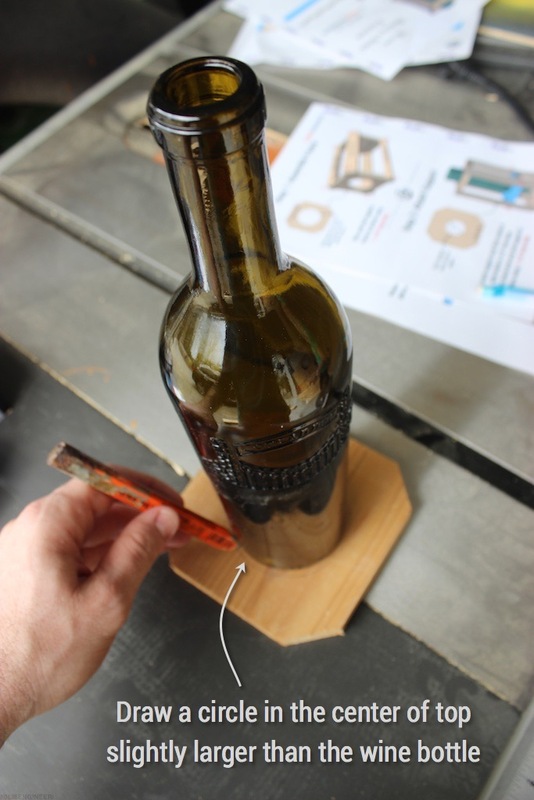 On one of your 5 1/2″ squares with trimmed corners, center and draw a circle just larger than the wine bottle. 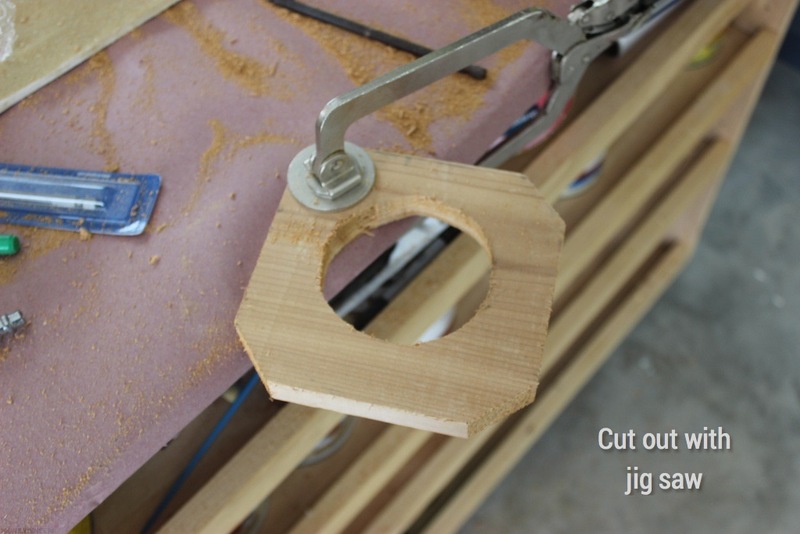 Cut the circle out with a jigsaw. 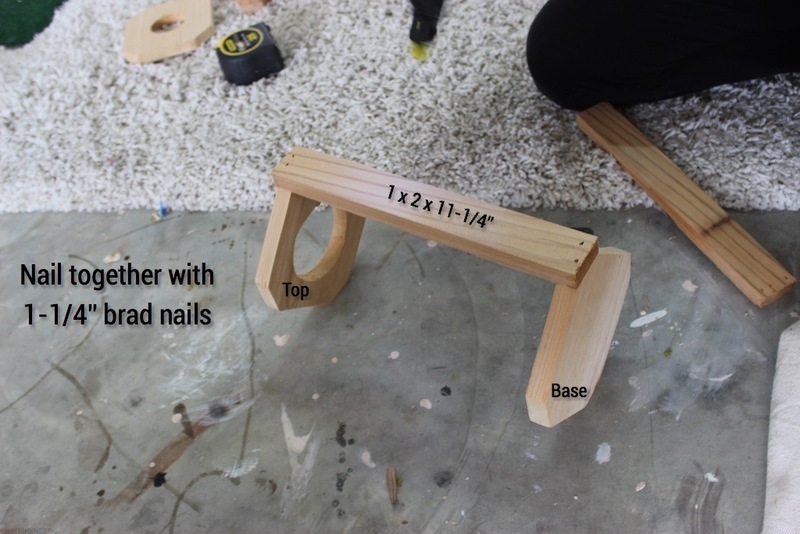 Attach one of the 11 1/4″ pieces to a trimmed corner of the piece with the circle and another trimmed square piece, using 1 1/4″ brad nails and glue. Repeat for all 4 sides. 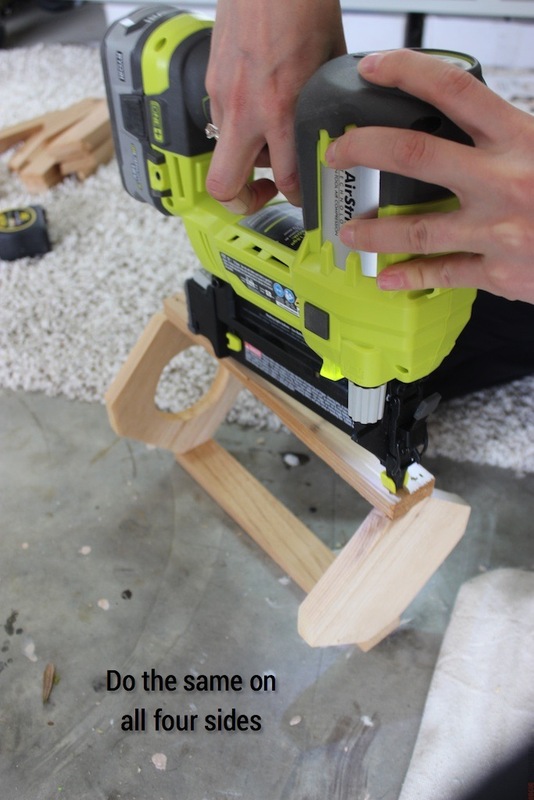 Note: Everywhere you nail you should use wood glue. 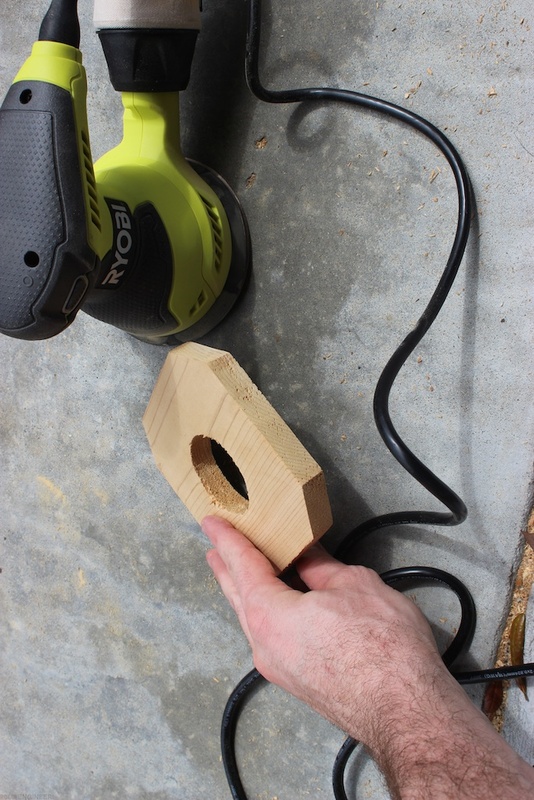 Cut a 2″ circle from the center of the remaining trimmed square piece. 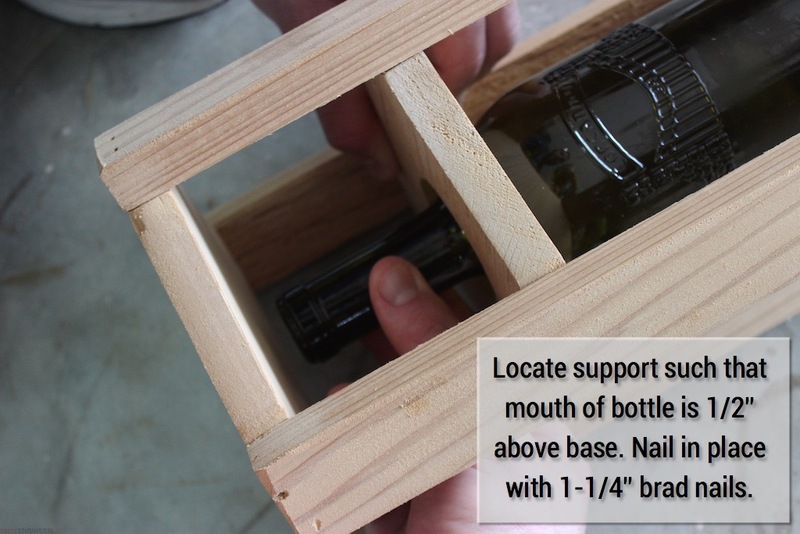 Install the bottle support in the frame such that the mouth of the bottle is 1/2″ above the base. 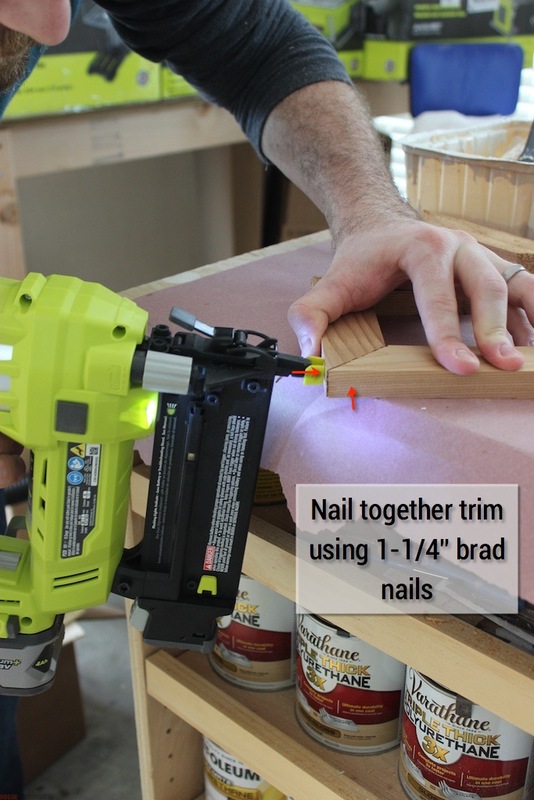 Nail it in place using 1 1/4″ brad nails. 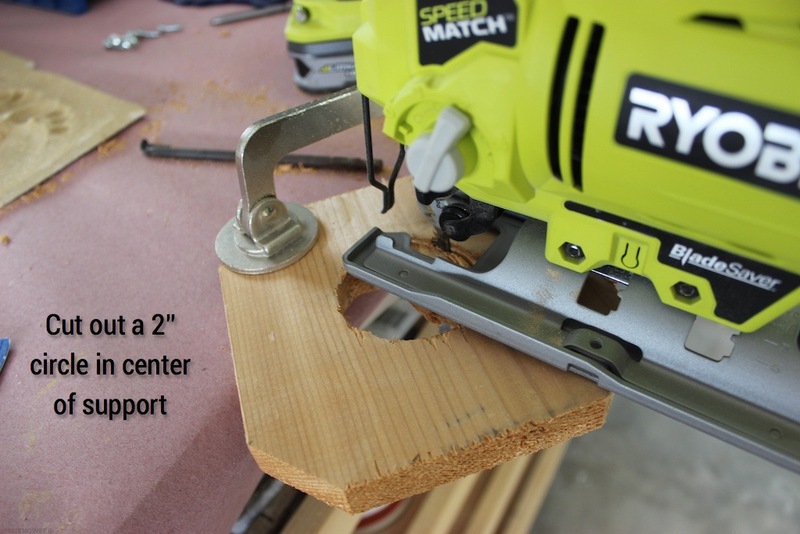 Nail together your trim pieces at the corners using 1 1/4″ brad nails, creating two trim squares. 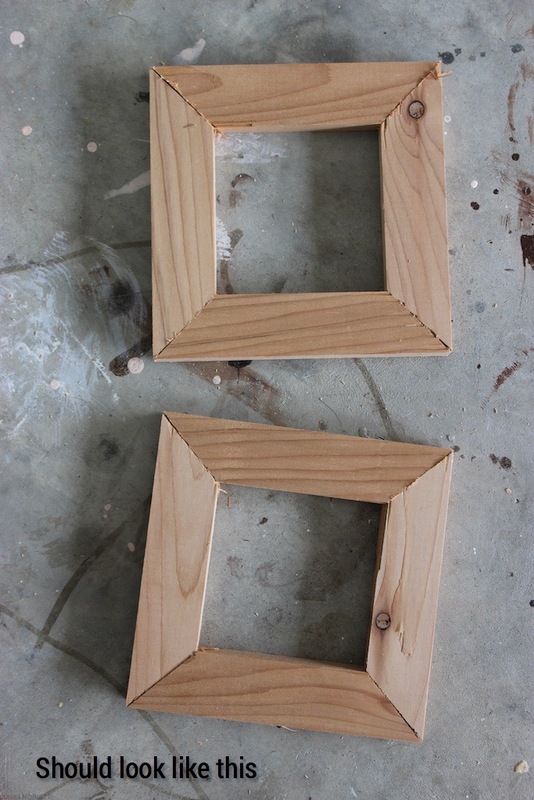 Nail one trim square to the top and one to the bottom of the structure. I decided to screw two eyelets in the top and use copper wire to hang it. 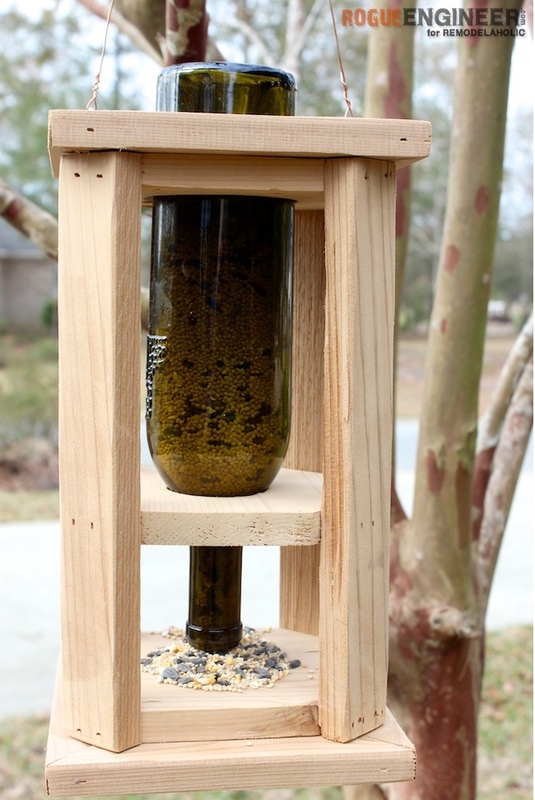 Now all you need to do is fill your wine bottle with bird seed, slip the feeder over it (upside down), and quickly flip it right side up to allow the seed to fall out. Well, I hope you enjoyed this tutorial. 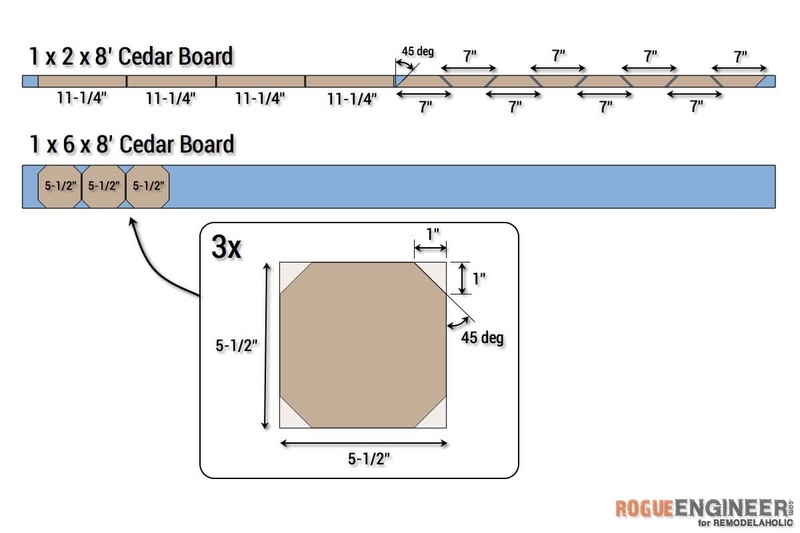 For sneak peeks of our upcoming projects from Rogue Engineer be sure to follow me on Facebook and Instagram. 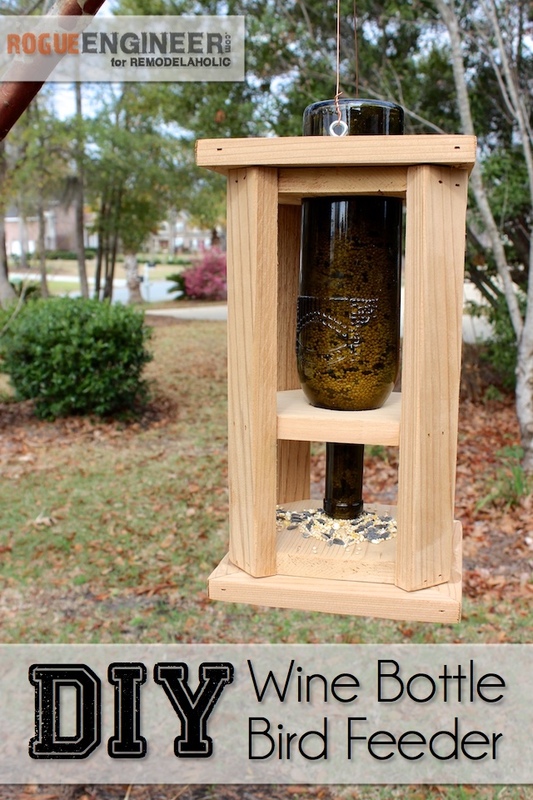 The post DIY Wine Bottle Bird Feeder appeared first on Remodelaholic.